Thankfully we live in a world where information of any type is literally at our fingertips. No more is the day of searching your house endlessly for a recipe, or desperately searching your encyclopedia set for information for that report you forgot is due tomorrow. With online search databases, such as Google or Bing, obtaining information is simpler than ever. But this small convenience doesn’t come without a price. If information is knowledge, and knowledge is power, then power puts people in positions to make better informed and more accurate decisions for themselves and their families. You may be wondering what I am referring to here. Let’s take Coca Cola for example. After opening up my Google browser and typing in the company, I learned the customer ratings, internal employee satisfaction ratings, salary information, as well as recent news and stock prices, all within a 10 second window. Pretty scary huh? Companies are saddled with a huge obligation to not only satisfy their consumers and clients, but also their internal employees. After all, one small mishap could end up being retweeted millions of times and not only damage your company’s sales, but credibility as well. 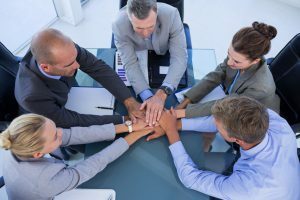 Time and time again, we see companies that put a high focus on Talent Experience leading the pack of “Companies to Work For,” and staffing agencies are certainly no different. As a company with the responsibility of finding niche talent for available job opportunities, and a company that focuses on putting thousands of people to work, we have the same, if not higher, responsibility to make a positive impact with those we do business with. But endless information doesn’t have to be feared. Follow these simple tips to help move your company to Talent Experience Trendsetters. There’s nothing as important as transparency and good communication between employer and employee. There’s no reason not to be open and honest with your staff. Though they might not always be uber excited about what you have to say, they will certainly appreciate your honesty in the long run. Who doesn’t want to be a part of a fun and engaging work environment? Maybe you encourage creativity or provide your team with weekly lunches; whatever method you choose to boost the culture, know that it is important to identify what you want your culture to be and make strides toward getting your company there. Did you know that up to 90 percent of all doctor visits in the United States are for stress-related illnesses? Reducing stress not only improves the overall general health of employees, but cuts corporate healthcare costs and boosts the feeling of happiness and motivation. Tips for reducing stress include shortening meetings to provide employees more time to meet their goals, loosen time constraints for deadlines and reduce micromanaging. Would you want to work for a company where you had a mentor that you could go to talk through all sorts of things with, and a coach to help you navigate your career path to ensure success? Yea, that’s what we thought too. Following these simple tips will ensure your company is never left dreading the annual employee survey but rather looking forward to reading all the positive remarks! This entry was posted in Clients and tagged Communication, Companies to Work For, Happy Employees, Talent Experience, Workplace Culture. Bookmark the permalink.